If you came here from Michelle, you're in the right place! I created this Concertina, as known as a Cascading Card. 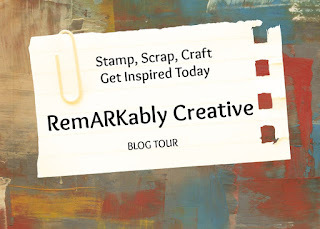 I found the tutorial on SplitCoastStampers. I used the Sugarplum teddy bear. Isn't she cute! I used the new Cardz TV Stamps "Beary Sweet" set. The next step on your Teddy Bear trail is Sarah! Don't forget there is a GIVEAWAY going on until Nov. 15th! 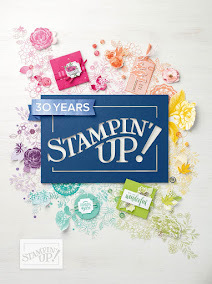 Couture Stamping Academy now has 27 new members, and exclusive video with more to come, and card samples. Join the community and share in the fun! So gorgeous! Love the glittery behind the beautiful bear. Super cute!! Love all the sparkle!! Your card is beary sweet. So....so....precious is your little ballerina your ideas all worked and love your cascading card I've never seen one before....you are really talented!! Wonderful project! I have seen the tutorial for this card fold, but haven't tried it yet. TFS! A very beauitful card!Darling!TFS the tutorial..
adorable... thanks for the chance to win. Really cute!!! And I really like the card below this one. She's so cute, love the card. Such a cute cute card!!! I have never made one of these cards...I love the paper you used! Great job my friend! Thanks for the card idea. I haven't tried this type of card, but I will. Cute teddy too!!! Perfect Sugarplum bear that any girl would love. Following. This is one of the bears I haven't had a chance to make, but you have inspired me -- will have to make this one soon! I love the look of your card. I am going to look up the tutorial. I love cards that fit into A2 and are totally different. Nice to change things up once and awhile. I really love your card and that kind of card (cascading) I've never seen before. I'm gonna have to go and check it out. Sweet card I love it. Very pretty little bear. Like the glittery paper and the card format. Going to have to try that one. What an A-Dorable Bear! She is pretty in pink and as pretty as any princess I have seen! TFS! Awesome! I need to try this card format. This is so much fun seeing how everyone did something different. I love this card. I love that you tried a new card technique as well. The glittery paper makes the card but that bear is just adorable. Great job!! I love making concertina cards and you created a masterpiece. So glittery and pink! Super cute. Love that cascading card!! Nice job on your card, love the shape! Beautiful Card, I too love that cascading card and may have to try it. It's the sugar bear fairy......what a great card. Love the bling as it helps to set the tone for this precious card. Cute little ballerina bear. Really need card. What a super cute and sweet card! !